As it quickly creeps up to the end of another 365 day chunk of my life, I thought that it would be nice to reflect on what has happened, what is happening and the possibility of great change to come, within the shoe world. Let me start off by saying that for most of my life, I had the feeling that 2012 (the year that I turn 28) was going to be a significant year for me. I don’t why, but for some reason I always felt that age 28 was going to be a year of greatness, where many significant things happen. While I won’t divulge into the personal things, this upcoming year will hopefully mark my official entrance into the shoe industry, not only as someone who has supplied the world with information, but more so, as someone who supplies the world with a product that they can truly appreciate. However, the more time that I spend in the shoe industry, observing everything around me, the more that I feel there is so much to work on, as I truly believe that for many, the idea of quality has been swiftly replaced by the idea of a high profit margin. This unfortunate idea has led to the demise of many brands. I most likely would have never thought of these things one year ago, but as I try and work out the pricing of my own shoes to make a fair price for my customers, the more that I realize that so many shoes are insanely marked up, for what seems to be solely for the purpose of their name being etched on the shoe somewhere. This idea hit me quite hard when I was wondering around the shoe floor of Galleries Lafayette in Paris a little while back. Never before had I realized that so many brands charge incredibly high prices for such low-quality products. It simply boggled me. 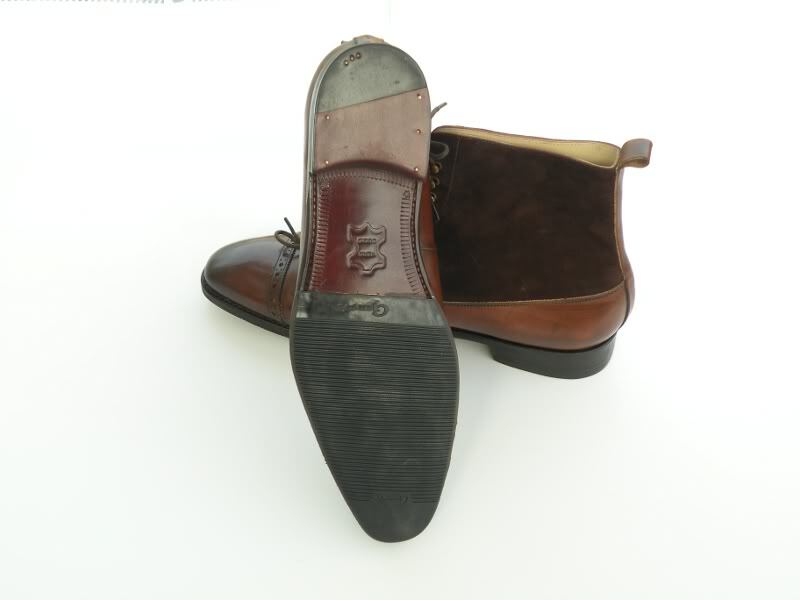 There were shoes that were in the same category of pricing as Edward Green but were about 1/100 of the quality. Go figure….It suddenly dawned on me that because of globalization, companies around the world were able to flourish internationally and take their business to levels never seen before, but also outsource cheaper labor while at the same time raising their prices. And in 2011, this is what we are left with. But I believe that I am not the only one who has noticed this and others, like me, are hoping to use globalization in a positive way to get more fair prices to the people. 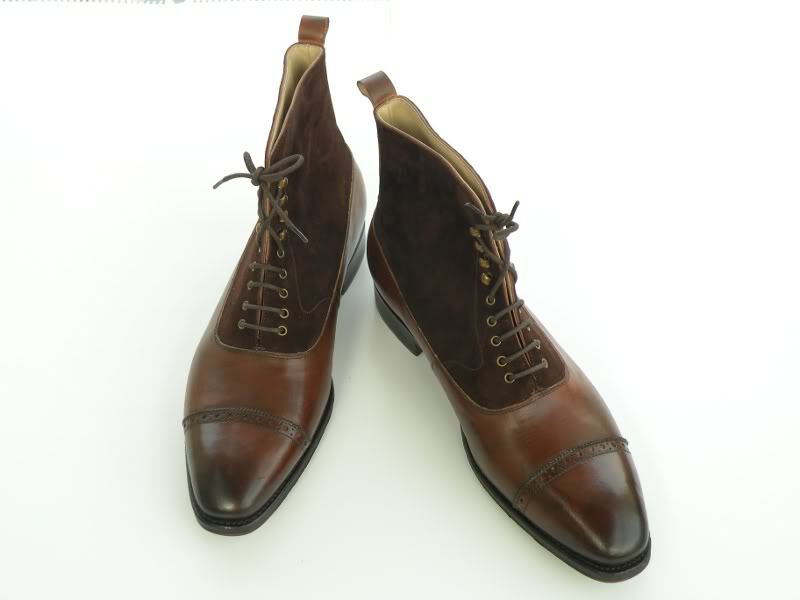 There was a time when the US and the UK (more so) flourished as shoemaking industries and were known for making only high quality products. But once these companies became able to use factories across the world where laborers charged a significantly lower fraction of the cost in respects to their native workers, many of these factories dried up and disappeared, leaving only a memory of what used to be great. But now, as factories across the world are sprouting up in places that you would have never thought of, able to do good work for fair prices, there could be a change. This change may not occur next year, or in 5 years, but I am betting that many people (consumers) are becoming more conscious of what makes a shoe worth it’s cost and companies will start wising up to the fact that people will not buy a �600 shoe when it is only worth �50….. I for one am glad that good quality shoes with unique designs and colours are being produced in countries like Portugal and Spain at a price within reach of young men like myself, who may otherwise be stuck with choosing EGs or GGs (that will starve us), or those glued square-toed monstrosities (I would rather go barefoot). In fact, efficiency in production has allowed young start ups to flourish in countries like Singapore, where shoe making is not a tradition (although I do know of several 3rd generation cobblers). For example, I know of an aspiring craftsman who learnt his skills in Budapest, but took advantage of existing local shoe making facilities to design and make his RTW line. 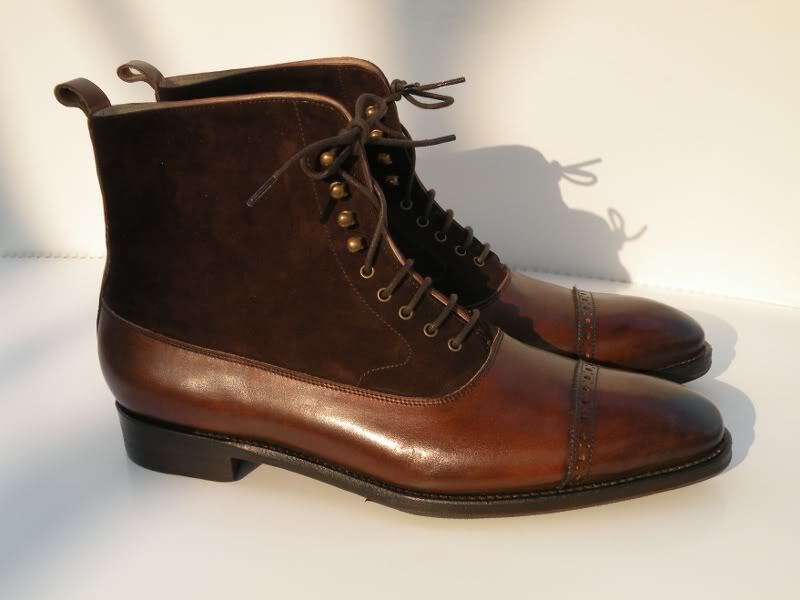 However, all his MTM and bespoke footwear are made by hand. A good balance I must say. I believe that the next generation of cordwainers after yourself would be more inclined to pursue the craft if they believe that it is achievable without having the opportunity to apprentice under a certain grandmaster, or spend massive amounts of time and money travelling simply to learn the ropes. First I’d like to agree with Benjy’s comments WRT new creative artisans working in their own locals. I think price reduction in the market place has to do more with the overall merchandizing of a product (i.e., the entire supply chain), and the with of the different player to charge a higher prices. For example, Magnanny at Zappos are between $195-$395, but at Goodman $525-$725. Yes there is probably a small different in the added features, and quality, but not to the level of doubling the price. Albeit, I do see changes in the industry when it is becoming more acceptable to wear avangard design rather than the traditional Black/Brown, and maybe tan. Benjy – Well said….I agree….what’s even more amazing is I know that some people are self teaching by reading books and shoemaking blogs, skipping the apprenticing all together. While this has it’s ups and downs, it’s amazing nonetheless.